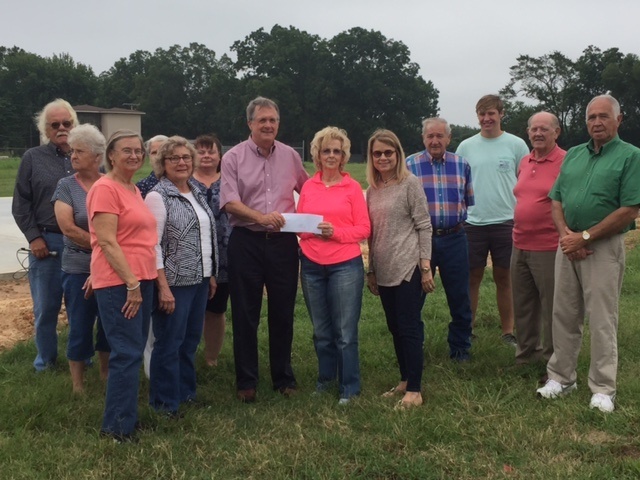 JONESBORO, AR – The Ernest and Anna Ritter Family Endowment Fund recently made a $30,000 donation to the Cherry Valley Food Pantry that will help the non-profit organization construct a new building to house its operations. The Cherry Valley Food Pantry broke ground on the new building in June and hopes to have the project completed later this year. With improved amenities and more space, the group hopes to make an even bigger impact on its community. The Cherry Valley Food Pantry provides meals for 60 to 80 families per week and there are roughly 300 families in the small community that are registered with the pantry. Almost 75 percent of children in Cherry Valley schools are on free or reduced lunch programs. Last year, the Cherry Valley Food Pantry distributed more approximately 132,000 pounds of food to needy families.